The rate of young children requiring hospitalization has doubled in just a week as the Centers for Disease Control (CDC) warns of new, emerging strains of influenza. 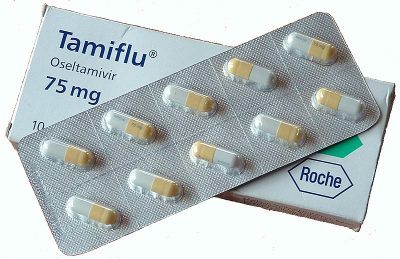 It’s disturbing to watch, year after year, as the mainstream media uses disease, tragedy, and epidemics to sell more ineffective flu vaccines and Tamiflu for their pharmaceutical sponsors. So much knowledge about nutrition, adaptogens, and plant-based antimicrobial compounds is being held back to keep people in fear of the seasonal flu and to make them dependent on failed vaccine science. From a business perspective, the mainstream media is using hoards of sick, hospitalized people to further promote flu vaccines — the same mercury and aluminum-based vaccines that are proven to weaken people’s ability to adapt to ever-changing influenza strains. There is never any mention of flu vaccine side effects, either. Included on the vaccine insert, these problems include but are not limited to eye and chest pain, arthritis, dizziness, tremors and losing consciousness (syncope), convulsions and seizures, Guillain-Barre Syndrome, cranial nerve or limb paralysis, swelling of the brain, and partial facial paralysis. In order to understand what’s going on here, one must take a step back and look at what the media is suggesting with all this “Flupocalypse” reporting. Over and over again, the mainstream media suggests that people continue to get shot up with flu vaccines that will never be able to strengthen the body’s terrain to fight mutating influenza viruses. Exposure to vaccine antigens is not the only way to increase antibody response in the human immune system. At best, exposure to vaccine pathogens may teach the immune system to recognize one or a few virus strains, but there’s no way of knowing whether this augmentation lasts long term (hence the need for booster shots). To make matters worse, influenza viruses are constantly mutating to survive and are more capable of overwhelming a person whose immune system has been burdened by mercury, aluminum salts, foreign animal and human cells (all in the vaccines). A body that is intramuscularly trained to recognize select pathogens (that are not currently circulating) is a body unprepared to face new influenza mutations. Therefore, it is more prudent to holistically prepare the terrain of the immune system, making cellular health more efficient in energy production. Vaccine science focuses on the fear of individual germs; whereas, smart adaptation focuses on strengthening natural responses throughout the body, including lymph movement, endocrine function and hormone signaling, microbiome intelligence, digestion, waste filtration, mucous membrane efficiency, inflammation reduction, and stress reduction. The strength of the terrain inside the body should be the first priority when taking a practical approach to adaptation to infectious disease. This is why peer-reviewed studies show that people have better outcomes and can better prevent disease when their bodies are utilizing crucial elements that strengthen their organ systems, cellular health, and efficient antibody response. Zinc, vitamin D, vitamin C, and probiotics are four examples where nutrition strengthens the terrain of the human body so that fear of disease does not affect the mind, and so disease does not manifest into tragic outcomes. The current strain of H3N2 has hospitalized 13.7 per 100,000 so far in January but the rate doubled in just a week to 22.7 per 100,000, according to CDC officials. More than eighty-five adults have perished and another twenty children are now gone. People are dying because they are told to trust and taught to rely on the very science that is weakening their ability to adapt. The CDC will continue to urge people to get vaccinated again and again, but it’s simply the wrong approach for a malnourished population that is taught to fear infections instead of taking care of the terrain of their natural immune systems.